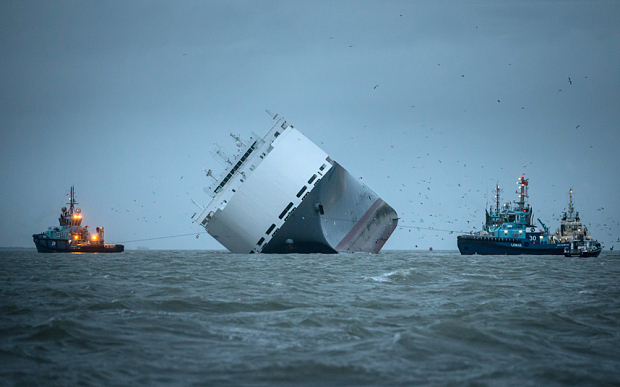 We used our AIS Fleetwatch service to replay the final moments before the Hoegh Osaka was deliberately grounded on Bramble Bank in Southampton. You can watch the speeded up replay on 2D and 3D here http://youtu.be/5fW_LRDWUPo . Interestingly our replay correctly shows the ship heading onto the bank in a Northerly direction before she grounds. Other replays incorrectly show her moving sideways onto the bank. It may be that the gyros failed on the ship just before she started listing badly resulting in the list and an incorrect ship’s heading being sent.